Sewing teacher Jennifer Duncan joins library staff to share quilting stories and crafts. 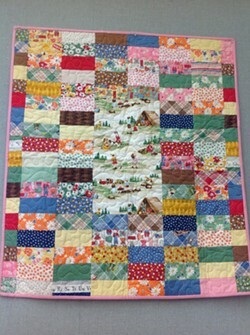 Enjoy the display of quilts in the children’s room and try your hand at the quilted ‘I spy’ game. Craft activities sponsored by First 5 Humboldt.